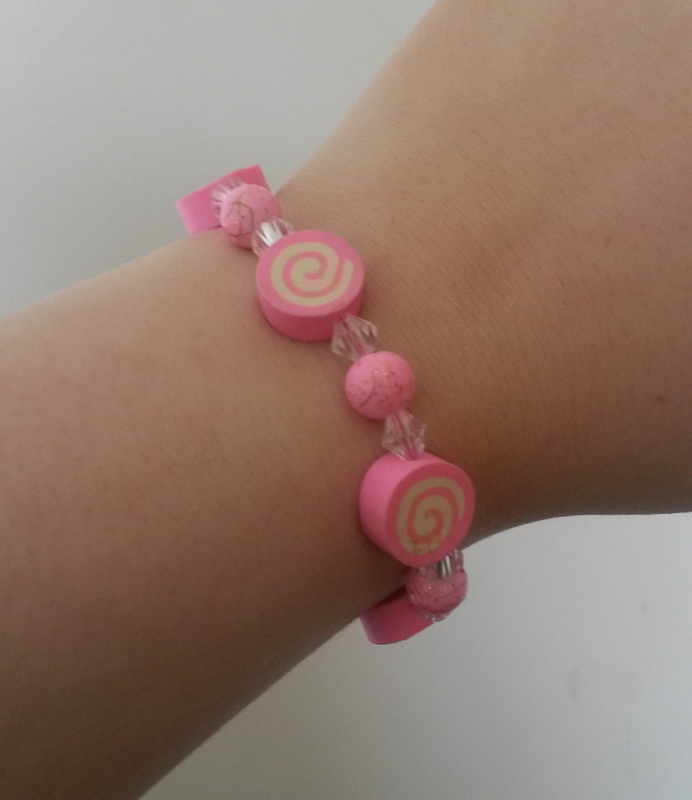 I've spent many hours of my life sat at my laptop, browsing various websites just admiring the candy or sweetie bracelets that everyone's gone mad for recently. It only ever went as far as browsing though because I didn't really want to pay £7-£8 for just one... I know, I'm stingy with my money sometimes! 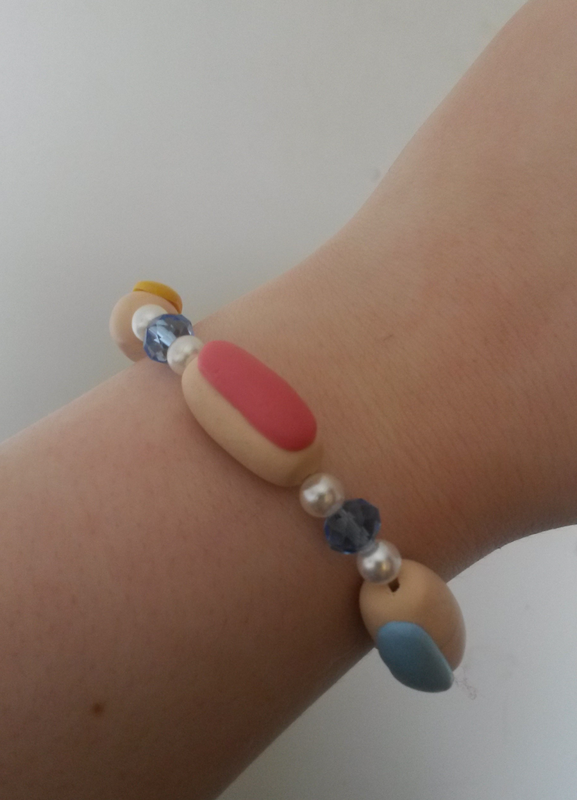 But not too long ago my Auntie and my cousin started playing around with some beads and jewels and created some absolutely beautiful and somewhat unique jewellery which they now share over on their Facebook page Jewellery Allsorts. They started off making 'foot thongs' which I have a few of and can't wait to wear in the coming sunny weeks! But they've ventured out into bracelets and necklaces and then onto rings and basically anything you can make with pretty beads! It's crazy! My Mum popped the marshmallow one in my stocking and let me tell you, it made my Christmas. Yeah. I was that excited about it. I've worn it so much so it's a little dirty. These ones are totally my thing and I was so happy to see that they had some in their stockpile of goodies and I was even happier when they told me to pick some to keep! 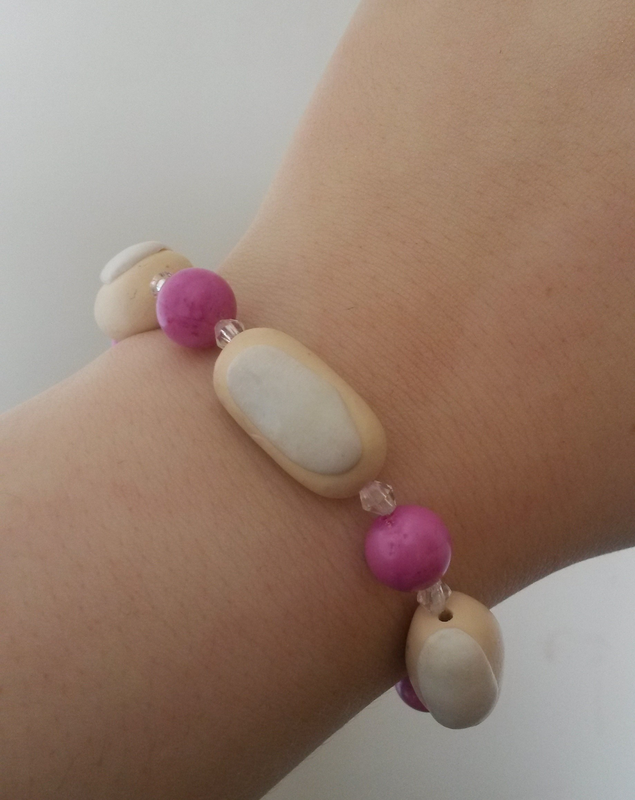 I chose two iced bun bracelets and one that looks like cute pink sweeties and they go perfectly with my marshmallow one I think! I would really recommend going and having a look at the Facebook page because they don't charge much at all! 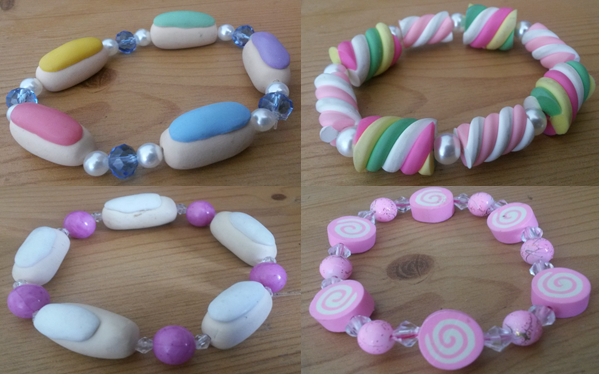 (these were all priced at £4.50 each... bargain) and they will custom make anything that you can ask them for and their ranges are growing all the time (I watched my cousin make necklace pendants out of those little beads that you iron together? Remember those?) Their name is so fitting... all sorts of jewellery! Haha! You might even see these on their own website sometime soon - they've just gone into a local shop in my hometown! 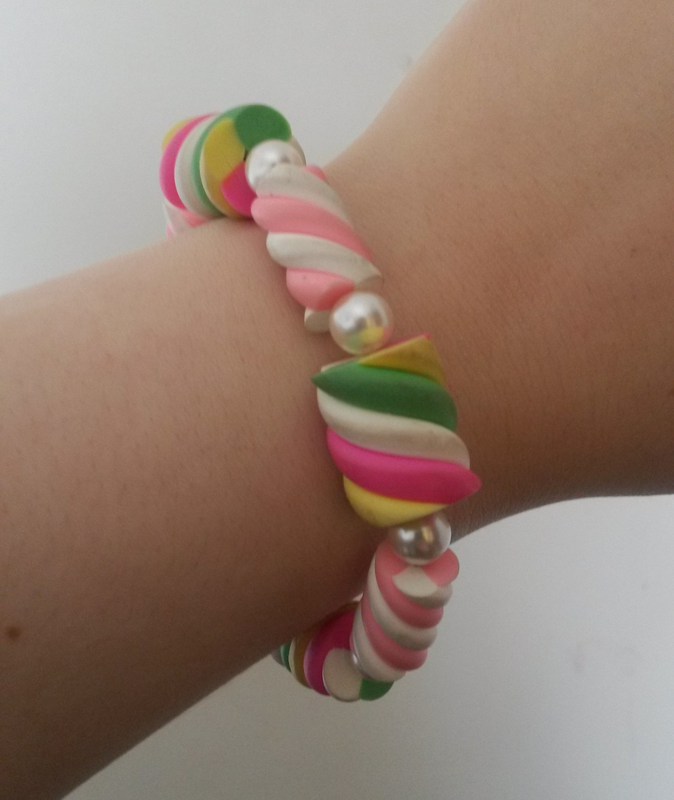 If you do go and check them out at Jewellery Allsorts on Facebook,which I really hope you do, then let them know that Kirsten sent you.